While there are many who would like to see Facebook die, it’s not going anywhere for a very long time, and I’ll tell you why: it fulfills a number of human needs that nothing else has up until now. It drives, it inspires, it irritates, it depresses, and yes, it does all of these things in ways no one yet truly understands. Facebook is changing human psychology. Can this be a bad thing? Can it create pain and depression? Yes. Can it create inspiration and joy? Definitely. This is what is driving social researchers up the wall — because studies surrounding Facebook show that Facebook use can make people feel bad. Yet, at the same time, it can make people feel good — and it’s this juxtaposition that makes understanding the effects of Facebook on the human psyche so difficult. In this article, I will show you how Facebook can be good for you, and why this guarantees its survival for the foreseeable future. Each reason I provide for the positive benefits of Facebook will be supported by a scientific study, and this one is no exception. There are countless studies that show Facebook makes people feel depressed and inadequate (I’ll get to those in a moment), but there is one important study that shows what really goes on inside social networks, according to the very people who use them. In February of 2014, Pew Research published the results of its polls which revealed that the main reasons both men and women wanted to use Facebook included receiving updates and comments, and keeping up with news and social events. This need to keep up with the latest gossip harkens back to the days of kindergarten, when no one really wanted to be the one left out of the schoolyard games. The need to be included is inside of everyone. This desire is one of the fundamental reasons why very few people actually manage to leave Facebook for a very long. I think my one attempt to forgo Facebook “for a while” lasted barely 16 hours. One of the most commonly cited studies by Facebook haters is one conducted by Oscar Ybarra and others at the University of Michigan, where researchers polled Facebook users several times throughout the day about how they were feeling and their time spent on Facebook. What the researchers found is that people who spent more time on Facebook became less happy, and less satisfied with their life situation in general. Researchers showed that these spikes of unhappiness directly followed Facebook use. What’s that all about? It’s sort of like the experience most kids go through when they go to a birthday party and have to sit there and watch the birthday boy or girl open present after present. There’s a sense of envy that is very human and natural — the feeling that someone else’s life is better. The grass is always greener. The researchers then stipulated that time spent on Facebook could be directly connected to how unhappy you might feel about your own life. I don’t think that analysis is really accurate. I propose a different hypothesis. I propose that the emotional benefit or detriment from Facebook comes from a variety of factors, including how you use the social network, and how selective you are in choosing who your Facebook friends are 5 Facebook Status Updates Guaranteed To Annoy [Opinion] 5 Facebook Status Updates Guaranteed To Annoy [Opinion] Facebook is, by all accounts, closing in on 1 billion users. That's an awful lot of people maintaining a profile on the site, and telling their family, friends, co-workers, and anyone else who will listen,... Read More . Facebook provides many more opportunities to feel happy than it does to feel sad, and many more opportunities to connect with other people than when not using social networks. One study that shows this is a 2013 poll by Pew Research that found that 57% of teens who use social networks had experiences that made them feel good, compared to 30% of teens who didn’t use social networks. It showed that just over a third of teens using social networks reported having an experience that made them feel closer to someone, compared to only 16% of teens who don’t use social networks. So why the discrepancy between the studies? I believe it’s because researchers in the previous study were trying to oversimplify a complex, multifaceted experience. Facebook offers tremendous opportunity to have more positive and uplifting human interactions with more people than would have ever been possible before the advent of social networks. Here’s the thing about Facebook: there’s something there for everyone. If you love yourself even a little bit, Facebook is going to make you really happy. Why? Because it’s like giving a narcissist a stage or a microphone. One study published by Western Illinois University’s Professor Christopher Carpenter in the journal Personality and Individual Differences, described how Facebook is a breeding ground for narcissists. He found that college students who scored highly on the Narcissistic Personality Inventory test were much more active on Facebook, and had a higher number of friends as well. The study provided evidence to directly correlate the number of a person’s Facebook friends with their narcissistic tendencies. So why do I list this as a reason Facebook will survive? Because I believe that Facebook offers something positive for everyone. There’s a little narcissist in all of us — even the shy ones in the crowd — and Facebook feeds that ego. That desire to be perceived as successful, happy, and, dare I say, superior to the collective “average”. This need in all of us keeps us coming right back to Facebook even after attempting to forgo the social network time and time again. It will continue to drive Facebook use well into the future. In a 2009 paper published in the journal Cyberpsychology & Behavior titled “The Influence of Shyness on the Use of Facebook in an Undergraduate Sample”, researchers found that the level of shyness expressed by individuals directly correlated with the amount of time those people used Facebook, and with how favorable they were toward the social network 7 Most Important Websites We Can't Live Without 7 Most Important Websites We Can't Live Without The World Wide Web (now more commonly known simply as the Web) has been with us for over 20 years now, and in that relatively short space of time it has unequivocally changed the world.... Read More . Meaning, the shyer people were, the more they used and loved Facebook. The study found that those shy people who love Facebook so much also have fewer Facebook friends than average. It would appear that shy people are much more selective about who they add to their social network groups, and their Facebook experience is more positive because of that. This is directly contrasted with people who are more narcissistic and have hundreds upon hundreds of friends. In other words, shy people use Facebook differently than narcissists, and in turn, Facebook makes them happy as well. In her book Quiet: The Power of Introverts in a World That Can’t Stop Talking, Susan Cain claims that at least one-third of the people we all know are actually introverts. One more reason why I believe Facebook isn’t going anywhere. Are you an introvert, or are you a self-admitted narcissist when it comes to Facebook? What do you think about the future of this massive social network? Share your thoughts and predictions in the comments section below! I'm a shy person and I don't see the point of Facebook. Maybe because I'm also a cynic and misanthrope who doesn't give a rat's tail about the pointless minutiae of people's lives. "Uncle Larry plucked his nose hairs today, 27,568 people Liked this" -- WHO CARES? So what this article demonstrates is that Facebook has shone a light on just how insufferable and annoying the human species really is. Thanks for confirming why I not only don't need Facebook, but could do well to see the 7 billion human primates (or at least the 2 billion on Facebook) jawing about birthdays and celebrity gossip and intersectional divergent feminism and "this political party bad, that political party good" could all die in a massive nuclear disaster and nothing of value would be lost. I prefer Voat and 8chan anyway. I'm a full-fledged introvert that prefers "speaking" and opening up online. I don't really care if the person I'm talking to isn't serious, I am serious all the time. Social Media is like my 2nd world, an introvert's 2nd world. "Online" world is what I call it, and I'm living in it, I'm living both lives. I think that's a good point - I only have two ideas to offer. The first is that those other forms of online social interaction were a valuable part of the evolution of how people communicate on the Internet, but nowhere near the global adoption rates on a single platform/site as Facebook. My second idea is that you may be on to something. I think a lot of the success for Facebook came from the increase in the mobility of Internet access. People like instant connections, instant news about friends/family, etc. To your observations, maybe the next evolution of this will be newer, more visual forms of instant social networking. My kids love Instagram and Pinterest. I think the idea of what isn't going to die here may not be Facebook specifically, but instead the ability to instantly and easily connect and interact with friends and family more frequently and in more multi-faceted ways online - playing games together, video chatting, sharing jokes and news every day, and so much more. Hey to the author, what do you suppose BBS, boards, forums, irc, chatrooms etc since 1979+ have been doing? Social networking is a fad of the last Iraq war era. The youth today are into Snapchat etc. As a network admin I've noticed a spike in these services across the educational network I administer, and a drop on fb. My satisyic sample is low, about 6000+ users (5500+) 18 to 22. I see it like this. If you have a problem with social medias like facebook the stay the hell away from it. Just because it does nothing for you or you don't approve doesn't give you the right to judge and complain. Just stay away from it. I've noticed that just about everyone who is complaining here also has a F profile. WTF! Grow up people. 1. Those damn autoplaying videos. 2. I don't need another reason. What about privacy? That is why I do not use Facebook at all. If I want to keep something private, I don't put it on Facebook. So the privacy thing doesn't really bug me that much. Oh good lord - I should have known drama was not FB's sole province. Why do people persist in thinking that everything can be divided in twain? Social media is bad. Social media is good. For heaven's sake - social media is a tool just as every other tool and it exhibits its worth or lack of it in the way it is used. I have my own reasons for liking some things in social media and disliking others, and so does everyone else who uses it. FB's evolution or devolution will depend on how useful it continues to be viewed by those who use it and whether or not that volume is enough to generate the profits that will satisfy shareholders. To that end, there's no doubt Zuckerberg and his minions will continue to change things up in a duet with their users that balances potential increased profits against irritation, striving always to maintain a slightly heavier weight on the side of profit. And by the way - introverts are not necessarily shy. We can be as noisy and obstreperous as any extrovert, but we require quiet for recharging. That's selective and out of context quoting. The reason I gave examples of why Facebook appeals to the narcissist and the introvert is to show that even at the two ends of the spectrum, Facebook had a psychological appeal. I first joined "thefacebook" back in 2005 when it was only available to college students. It definitely served a purpose of staying in touch with friends and was a lot of fun. After 6 years of seeing the site transform into a public forum for airing dirty laundry, political debates, pictures of food, and invitations to play farmville I had enough and closed my account for good and never looked back. It's amazing how much more you enjoy life's moments when you aren't constantly on your phone posting about them. I now live across the country from my family and friends and have no problem staying connected without facebook, you will know who your real friends are when they are willing to pick up the phone and call you. As I said, different people have different experiences. You are assuming that everyone on facebook is 'constantly on [their] phones posting about [life's moments]'. Maybe that was your experience; it hasn't been mine. You also imply that if someone isn't willing to pick up a phone and call you, then they aren't a 'real' friend. I'd hate to apply a litmus test like that to friendship. Why not say if they aren't willing to write a real letter, in longhand on good stationery, that they aren't a real friend? I think my grandfather would have agreed with that; he didn't like premade cards or even typewritten letters. If someone doesn't want to use social media, that's fine. I just object to a blanket condemnation. As you said?? Don't flatter yourself, I didn't even read your comments above. I was making a general statement about the article. "If you love yourself even a little bit, Facebook is going to make you really happy. Why? Because it’s like giving a narcissist a stage or a microphone." I am reminded of the man who hit his thumb with a hammer. Of course he blamed the hammer. Most things we think we think are biased to what we practice. I see how my adult children keep in touch with their family and friends who are no longer in the area. This, I think I think is a good thing. I agree - for some reason when people give examples of how Facebook Users use the network, they give mundane examples - but the experiences I've witnessed involved families from across distances communicating daily, sharing life events and children's photos more than ever before. I love the ability to see my nieces and nephews growing and enjoying life through photos. It doesn't mean there's less personal traditional personal contact, it just means that there's more overall contact. Yes, that can also create more drama, fighting, etc - but it also brings us all closer than ever before. I think people's experiences of Facebook vary considerably. I often hear complaints about vapid narcissistic posts, and yes, they are there, but my general experience is much different. If I turn on the evening news, there is rarely a news story that I haven't already seen of Facebook. I have real in-depth discussions on a variety of topics. I connect with other individual self-employed people and coordinate events. I am essentially at a gathering which includes friends, relatives, colleagues, and co-enthusiasts; even debate partners with whom I generally disagree. It's not the same as being face-to-face, but it IS social and it IS communication. To me, Facebook is the telephone of the 21st century. When the telephone appeared, many of the same complaints were made. Why would you actually visit someone, when you could just call them? It was going to be the death of real social interaction. How could you meaningfully interact with someone on the phone? I think the naysayers were wrong then, and they're wrong now. Yes, Facebook itself will be supplanted by something else, eventually, but I think the idea of social media is here to stay - and that it's ultimately good for us, as individuals and as a society. A telephone connection is direct and ephemeral - so far as we know. Not every telephone conversation is recorded, stored and examined (we hope). The news you receive on FB is mediated - that is; if it falls outside of "acceptable" boundaries, then it may never reach your eyes. FB forces conformism; who will propose something controversial when bound to a real-world identity? People will always put their best foot forward - which results in stale, predictable and party-line ideas. Let's just say a comment from Dragonmouth is an experienced renowned and much anticipated amongst MUO authors. In other words your reputation precedes you. You have to understand Dragonmouth's history here to understand the comment and the wink. Please enlighten us. Enquiring minds want to know. Social networks keep people connected far more frequently -instantly - that can simply never be possible or practical with in- person communication. I really think this is what it brings. Although, anything in excess can be unhealthy. "Social networks keep people connected far more frequently -instantly – that can simply never be possible or practical with in- person communication." 24/7/365 connection - reminds me of the Borg Hive-MInd. People allow themselves to be assimilated and then complain about the loss of privacy. As social networking grew, the quality and quantity of in-person communication has deteriorated. While social networks may allow the shy, the shut-ins, the socially-inept to communicate more, they do not increase their social skills. On the contrary, social networks diminish the in-person social skills. Agreed. All the non-verbal communication is lost with electronics. It's easier to lie with a webcam. Misunderstandings are common because of this. FB gives people a reason to be anti-social - why visit your aunt when you can message her? Is anything improved by such a facility? Saying something is different to having something to say. People who rally against Social Media are not luddites. Personally, I think that the technological advancements of the last 15 years have been astounding, and I thank the gods daily for my iPhone, DVR, et al. My opinion, for what it's worth: Social Media will most assuredly not be thought of in the same way as the technological explosion of the early 2000's. There is a specific portion of the population- usually men and women in their 30's and 40's- who have glommed onto Social Media for the way it let's them stay relevant. Instead of settling into middle age with quiet dignity, they have chosen to compete with the kids for relevance. And given the increasingly vapid nature of these outlets, they feel the need to constantly justify their use of such things by claiming that they are important landmarks in the development of our civilization. Somehow, I don't think our distant ancestors will look at self-aggrandizing posts and the altars people built to their mundane experience of everyday life as some sort of key event for modern man. Walking on the moon was important. Discovering penicillin was important. Posting a picture of yourself driving your car is not. Ryan's core argument seems to be that Facebook fills a "psychological need". The problem is, does this make Facebook a good thing? For some people, heroin or alcohol do also fill a "psychological need"... The similarity here being that in all such cases the real, actual, physical world is being substituted with an addictive kind of artificial world. Sooner or later, people will start to understand that the essence of Being Social is physical real-life communication with other human beings, rather than tapping away in front of a screen. Personally, I am convinced that 200 years from now, people will look back at Facebook in the same way that we today look back at the powdered wigs that fashionable people wore in the social salons of the 18th century: as a ridiculous, primitive, and even unhealthy fad. Actually I'm Introvert and the thing you have written about introvert people(like me) is totally correct....! Since when is being narcissistic a good thing? I think, that members of Facebook have generated many interesting and quite original ideas and thoughts. It is a pity, that the algorithm which can help to find all these quickly isn't yet known. As a consequence, a lot of good things and ideas do not have their place in our real world. Perhaps there is a need for some kind of new system of assessment or prioritization. I disagree. Nothing interesting springs from FB. All the creativity comes from the Anon's at places like 4chan and such. Nearly 100% of meme's and big ideas come from places like it. "members of Facebook have generated many interesting and quite original ideas and thoughts"
While that may be true, the problem is that those interesting and original ideas have drowned in the ocean of mindless mediocrity that is Facebook. Many people use facebook to connect with inspirational pages. They want something to uplift then...something to let them know that they are not allow. Some inspirational pages have hindered of thousands of fans. concerned. They want page owners to pay in order to have all our posts actually seen. Big mistake on facebook's part. Invetment, 6-7 years now reconnecting with your past, nobody want to start over. Your 4 reasons have just reenforced my resolve to stay away as far as possible from social media. Don't be fooled by this middle-aged population of social media users who will either swear that it's good for us or that it's not going anywhere, so get used to it. When a grown man calls you antisocial for spurning Facebook and THEN uses a winky-emoticon, I think it's safe to assume that we're dealing with someone who is trying to convince himself that it's OK to take part in juvenile behavior during adulthood. For me, one of the reason is authentication through facebook, lots of sites provide authentication through facebook(e.g. Groupon) and it makes it very easy to sign up/login. Didn't Myspace offer the same? I guess its different this time.....? Long live the Anonymous Coward. These are characteristics of social media, not specifically Facebook. This is why when a social media site that improves on these will edge Facebook out of the market. In essence, these are 4 reasons we'll never want to give up SOCIAL MEDIA, whether that be Facebook, or the sites of the future like Instagram or twitter or Google+. Joshua - good point, it is specifically social media. If something comes along that fulfills these needs better than Facebook does, in could conceivably shift the crowd...maybe in the same way everyone on MySpace migrated over to Facebook. Although, the adoption rate on Facebook is so much larger than anything that came before it - I can't fathom that kind of migration to some new network, but I suppose it's possible. As a non-user, Facebook appears to me to be nothing but a source for drama and conflict. 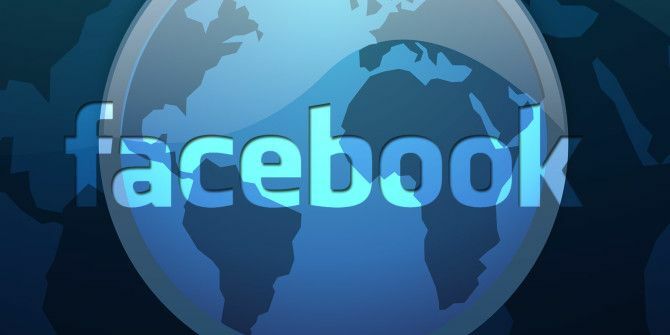 Besides its questionable datamining and relationship with personal information, and the complexity of configuring its security options for non-technical uses, the truth is that Facebook will sooner-or-later go the way of Myspace as the critical mass of desirable advertising demograph... I mean users moves on to other services in order to better hide their online activity from parents, prospective employers and clueless relatives. These things are going to continue to be in constant flux. I can accept that Facebook might still exist in 10 years, but if it's still even remotely relevant, that will be because of some well-timed acquisition rather than any actual innovation or utility on the part of its current service. tl;dr: Facebook is going to turn in to Yahoo. At best. FB seems confident about its future - almost certain, which leads me to believe they have the backing of the establishment. No company would invest so much in infrastructure - based on a business model that has failed time-and-again unless they had other intentions, guarantees. Also, buying Oculus seriously wound me up. I just don't see this -- because, as mentioned, Facebook fills a psychological need for such a large segment (or segments) of the population. It's something that was never fulfilled before, and now that we have it, I don't believe most people will be willing to go without it - similar to finally having the telephone as a form of communication instead of the telegraph, or having a train available to travel to the next city in a few hours rather than a horse-drawn carriage trip that would take several days. I honestly believe social media marks another step in the evolution of civilization. I know it sounds a bit over-dramatic, but I believe in 20 years we'll be talking about it in that light. AC - what other intentions would those be? To supplement the covert, total spy grid they have built. FB and others like it are invaluable in this regard. It's hardly a matter of speculation at this point. I don't think the authorities can afford to lose the largest database of real-world people networks, conversations, locations and so on. Think of all the deeply personal conversations that pass through the chat facility - once you type it, it becomes a permanent, retrievable record. Its immoral - like when you eavesdrop on a conversation; you know its wrong. Well, there were also search engines before Google, but that doesn't mean Google has become irrelevant. There were weapons before guns, but that doesn't mean guns will suddenly become irrelevant. Will Facebook last forever? No. But nothing does. I don't use Facebook much, but it's useable for much more than drama, even if I agree that is a large part of it. I mainly use it for looking at events and RSVP'ing to these.